Why would I need self storage in Branford, CT? There are a variety of reasons why you might need self-storage in Branford, CT.
How much is a storage unit in Branford, CT? The cheapest storage unit in Branford, CT is $38.00 per month. What size storage units do you have available in Branford, CT? In Branford, CT we have sizes that range from 5'x5' to 10'x15' to suit your storage needs. How much is it for a 5'x5' storage unit in Branford, CT? The cheapest 5'x5' storage unit in Branford, CT is $38.00 per month. Branford is a mid-size town in Connecticut's New Haven County, part of the New Haven-Meriden metropolitan area. It's about 8 miles east of busy New Haven and 71 miles northeast of New York City. This small shoreline community sits on the Long Island Sound, providing scenic views nearly everywhere you turn. Branford offers plenty of recreational activities, whether you enjoy hitting balls at the Twin Lakes Golf Course or soaking up the sun at the local beaches. The Branford Festival has been held every June since 1985, featuring live performances, arts and crafts vendors, a business expo and food vendors. The Mattabeseck Indians were the first people to inhabit the land where Branford now lies. European settlers arrived and bought the land from native tribes in 1638, naming it Totoket. It later became known as Branford as a tribute to the British town of Brentford. A trading post was established by the Dutch before the town was officially established in 1644. During the Revolutionary War, salt produced in the region helped preserve the meat rations consumed by American soldiers. During the middle of the 19th century, Branford earned a reputation as one of Connecticut's best resort areas, opening close to 20 hotels to accommodate the influx of tourists. By the mid-20th century, the town's image shifted from a vacation destination to a quiet, suburban community. Branford has a robust economy led by businesses in the bioscience, manufacturing, retail, health care and services industries. It's home to several key firms, including the biotech powerhouse 454 Life Sciences, the fast-growing medical technology firm CAS Medical and the award-winning Branford Hills Health Care Center. 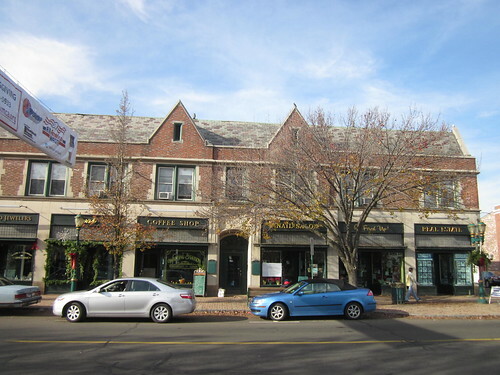 Businesses are attracted to Branford for its comprehensive municipal services, low tax rate, convenient transportation options and skilled labor force, which is excellent news if you're planning to join the Branford job market. The town of Branford also has a range of recreational opportunities to discover, whether you enjoy the great outdoors, arts and culture, history or dining. It's home to two local breweries, Thimble Island Brewing Co. and Stony Creek Brewery. There are also a number of local parks and beaches, including about 20 miles of coastline dotted with several marinas. Lake Saltonstall offers extensive hiking trails, ideal for enjoying its scenic views. If you're interested in learning about the history of Branford, you can visit any one of the community's six historic districts, one of which includes the Harrison House and Museum. Branford Public Schools is a small school district responsible for the schools of Branford. There is a small selection of private schools in and around Branford, mainly parochial campuses like St. Mary Catholic School. Utilities: Northeast Utilities Service Co.and Southern Connecticut Gas Co. are the area's central energy providers. The town of Branford facilitates residential water and sewer services. Garbage and Recycling: Most single-family and multi-family communities receive curbside collection of trash and recyclables. Transportation: The Shore Line East is the central public transportation line through Branford. 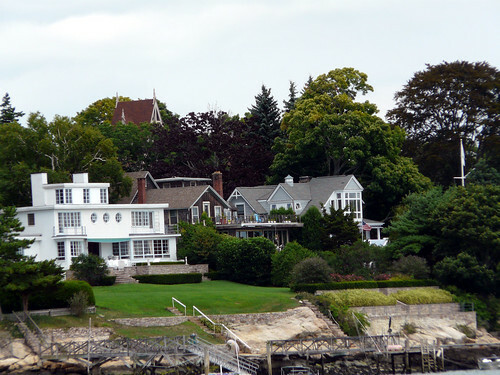 Homes with water views in Branford's seaside neighborhoods, including Short Beach, Granite Bay and Branford Harbor, are among the most desirable and expensive in this coastal city. Many are historic, dating back to the 18th and 19th centuries, and they tend to be unique, ranging from stone cottages to casual beach bungalows. The city also has newer-construction condominiums if you're seeking more modern, low-maintenance dwellings. Although home prices in Branford are relatively stable, they are higher than the New Haven metro average. Our lowest priced units in Branford, CT average $38.00 per month. 29 people have reserved units in Branford, CT in the past 30 days. There is 1 location within Branford, CT's city limits.